CAN'T FIND THE new 2019 Chevrolet Suburban VEHICLE YOU ARE LOOKING FOR? 1Not available with special financing, lease and some other offers. See dealer for details. 2Not available with special financing, lease and some other offers. See dealer for details. 3Lease Loyalty Purchase Private offer to eligible 2014 Chevrolet, Buick GMC or Cadillac lessees only toward the purchase only of certain Chevrolet vehicles. See dealer for details. 4Must qualify through GM Financial. Cash usable only if financed through a supported or unsupported GMF contract. Average example APR 5.9% for qualified buyers. Not available with special financing, lease and some other offers. Take delivery by 4/30/19. See dealer for details. 5Private offer to current lessees of eligible 2014 Chevrolet, Buick, GMC or Cadillac vehicles towards the lease of a qualified Chevrolet vehicle. See dealer for details. 6Conditional offer. Not available with all other offers. Stackable % Cash Back for customers who have owned or leased a 2005 or newer non-GM vehicle for a minimum for 30 days. See dealer for details. 7Must qualify through GM Financial. Not available with special finance, lease, or some other offers. Take delivery by 04-30-2019. See dealer for details. 1Lease Loyalty Purchase Private offer to eligible 2014 Chevrolet, Buick GMC or Cadillac lessees only toward the purchase only of certain Chevrolet vehicles. See dealer for details. 2Must qualify through GM Financial. Cash usable only if financed through a supported or unsupported GMF contract. Average example APR 5.9% for qualified buyers. Not available with special financing, lease and some other offers. Take delivery by 4/30/19. See dealer for details. 3Private offer to current lessees of eligible 2014 Chevrolet, Buick, GMC or Cadillac vehicles towards the lease of a qualified Chevrolet vehicle. See dealer for details. 4Conditional offer. Not available with all other offers. Stackable % Cash Back for customers who have owned or leased a 2005 or newer non-GM vehicle for a minimum for 30 days. See dealer for details. 1Not available with special finance or lease offers. Take delivery by 04-30-2019. 2Lease Loyalty Purchase Private offer to eligible 2014 Chevrolet, Buick GMC or Cadillac lessees only toward the purchase only of certain Chevrolet vehicles. See dealer for details. 3Must qualify through GM Financial. Cash usable only if financed through a supported or unsupported GMF contract. Average example APR 5.9% for qualified buyers. Not available with special financing, lease and some other offers. Take delivery by 4/30/19. See dealer for details. 4Private offer to current lessees of eligible 2014 Chevrolet, Buick, GMC or Cadillac vehicles towards the lease of a qualified Chevrolet vehicle. See dealer for details. 5Conditional offer. Not available with all other offers. Stackable % Cash Back for customers who have owned or leased a 2005 or newer non-GM vehicle for a minimum for 30 days. See dealer for details. 6Must qualify through GM Financial. Not available with special finance, lease, or some other offers. Take delivery by 04-30-2019. See dealer for details. 1Not available with special financing, lease and some other offers. See dealer for details. 2Not available with special financing, lease and some other offers. See dealer for details. 3Lease Loyalty Purchase Private offer to eligible 2014 Chevrolet, Buick GMC or Cadillac lessees only toward the purchase only of certain Chevrolet vehicles. See dealer for details. 4Private offer to current lessees of eligible 2014 Chevrolet, Buick, GMC or Cadillac vehicles towards the lease of a qualified Chevrolet vehicle. See dealer for details. 5Conditional offer. Not available with all other offers. Stackable % Cash Back for customers who have owned or leased a 2005 or newer non-GM vehicle for a minimum for 30 days. See dealer for details. 6Must qualify through GM Financial. Not available with special finance, lease, or some other offers. Take delivery by 04-30-2019. See dealer for details. 1Lease Loyalty Purchase Private offer to eligible 2014 Chevrolet, Buick GMC or Cadillac lessees only toward the purchase only of certain Chevrolet vehicles. See dealer for details. 2Private offer to current lessees of eligible 2014 Chevrolet, Buick, GMC or Cadillac vehicles towards the lease of a qualified Chevrolet vehicle. See dealer for details. 3Conditional offer. Not available with all other offers. Stackable % Cash Back for customers who have owned or leased a 2005 or newer non-GM vehicle for a minimum for 30 days. See dealer for details. Toughness, style and space can be linked to the all-new Chevrolet Suburban, for sale at Keyes Chevrolet near Eau Claire. Space has never been an issue in the Chevrolet Suburban, this vehicle can cater for as many people and as much things as is feasible. It comes equipped with a 60/40 folding third-row bench seat that makes it possible to store all the cargo you require while commuting across Eau Claire. 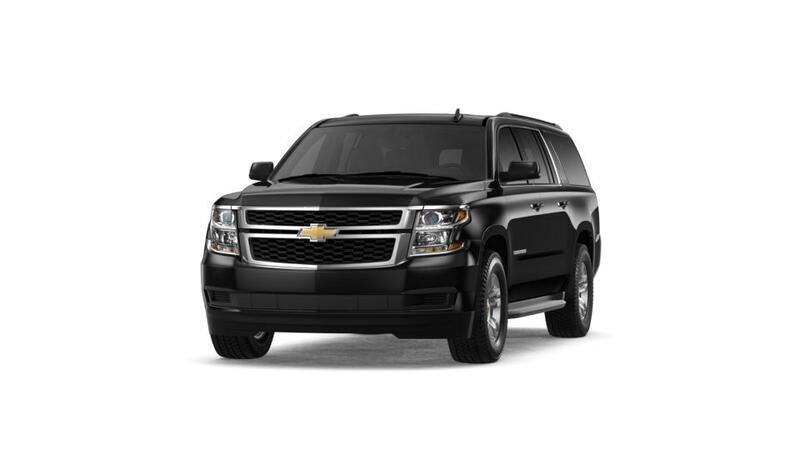 The Chevrolet Suburban covers for you and your family; its innovative safety technology like rear vision camera, rear cross traffic alert, rear park assist, and side blind zone alert monitors and notifies you to any kind of probable collision. With the available 8-inch reconfigurable cluster with driver information center and head-up display, now you may get easy access to all the data you need. Visit our Eau Claire area car dealership right away and discover this impressive SUV. We offer some reasonably competitive specials which are sure to amaze you. 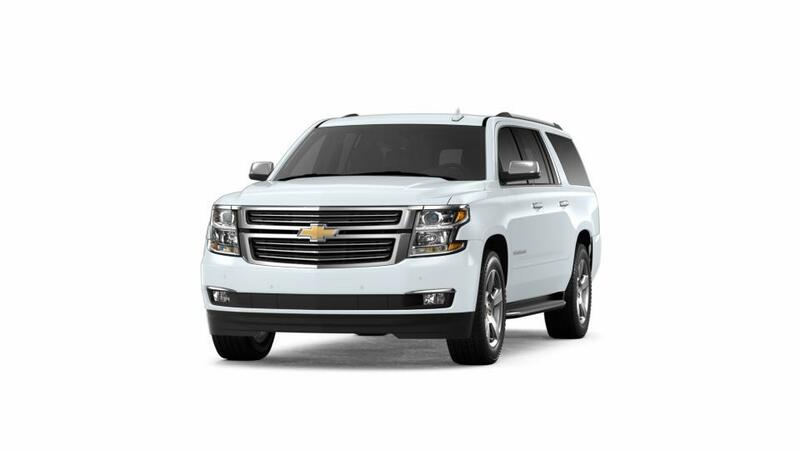 Keyes Chevrolet typically keeps a large stock of new 2019 Chevrolet Suburban vehicles to satisfy the needs of our customers in Durand and Eau Claire. In the event you don't see the exact new 2019 Chevrolet Suburban vehicle you're looking for in our inventory, please, let us know so we can locate it for you! Keyes Chevrolet has been serving Western Wisconsin and Minnesota since 1946. Let us assist you in your purchase of a new 2019 Chevrolet Suburban today!